Apex Ninja program is a fusion of gymnastics, parkour, obstacle course training, and martial arts. It gives kids a structured environment to learn to flip, to work on their agility, to build their strength, and to help improve their focus. Our structured curriculum allows the lil ninjas to progress in their skills from the basic obstacle course to the more advanced flips, twists and other challenges. 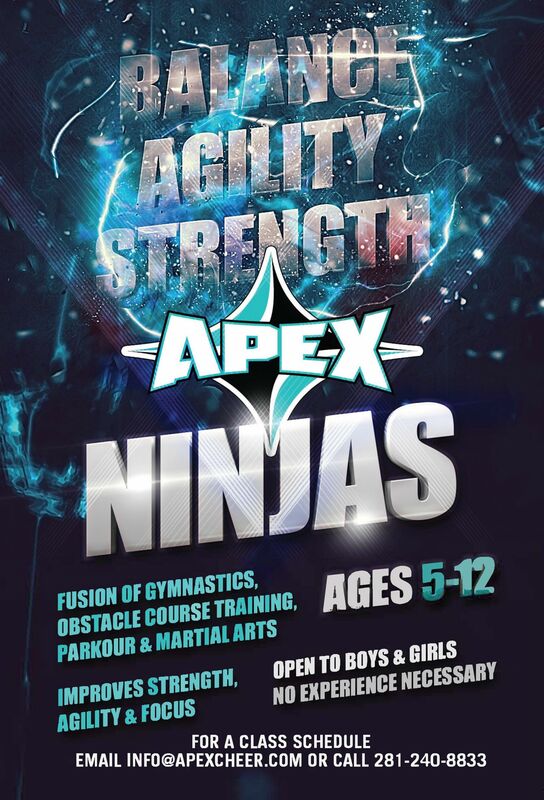 Apex Ninja program is open to both boys and girls, ages 5 - 12. Contact the front desk or stop by the gym for further information and class availability.